The Mosque of Zumurrud Khatun is situated in central Baghdad nearby the Mustansiriya Madrasa. It was built by Zumurrud Khatun, who was the mother of Caliph al-Nasr li-Dinillah and wife of Al Mustathea Bi-amrilallah. Her tomb is found in the al-Karkh area located in western Baghdad. 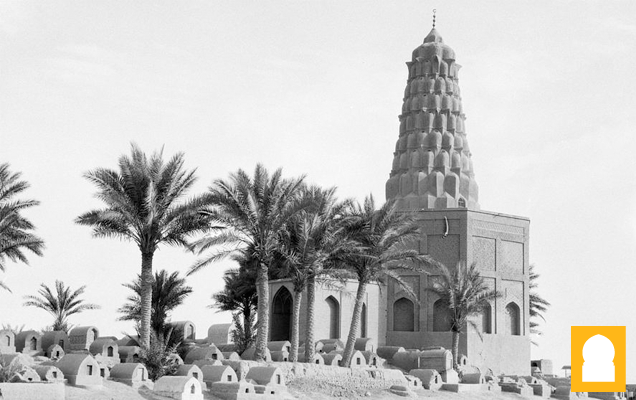 The mosque minaret, which was built earlier by the Seljuks in the twelth century, is considered to be the oldest in Baghdad. It rises between the Shafai Masjid and the mosque entrance and has a single balcony carried on a muqarnas support. The balcony has been decorated by Blue and turquoise glazed bricks. Located in an expansive cemetery in the centre of Baghdad is the more prominent tomb what is positioned on the west side of the Tigris river. 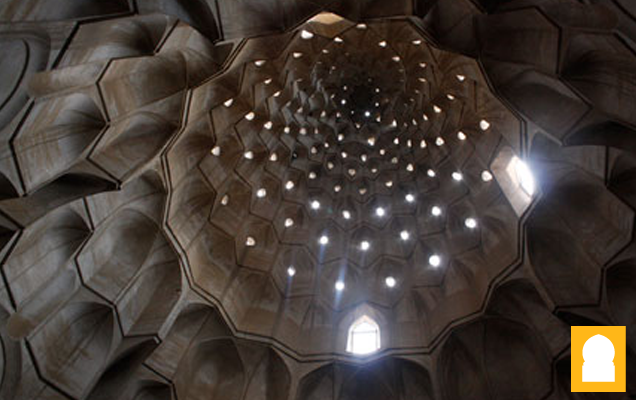 The tomb is constructed of brick and has a nine-layered, cone-shaped muqarnas what is topped by a small cupola . The cupola has a octagonal base what is like imam Dur in samara and has great height giving the it the distinctive structure it retains. The current entrance to the tomb is from a square-planned, domed structure what is a replacement of the original. A staircase leads to the base of the muqarnas dome, thought a corridor the burial chamber can be reached. A beautiful glowing effect is given from the small holes In the muqarnas. The mosque compound is rectangular and entered from three decorative openings in a passageway from the old souk that adjoins to the northeast, An inscriptive plaque above the central portal commemorates a restoration by a certain Ibrahim in 1923 (1342 A.H.). There is also a library and the house of the imam that surrounds the courtyard. In the interior are two great pillars which provide support the dome.The five sided mihrab sections and the lower sections of the piers have been decorated with floral tiles however the tile decoration of the stone minbar was largely removed during renovations. Due to the mosque being dominated by Hanafi group, the shafai members had no where to go so an extension was added to the north west side which is known as the Shafai Masjid. It is adjoined by the Shafai Madrasa, a small vaulted room located next to it, occupying the western corner of the courtyard is the tomb of Ismail bin Kazim. Privy chambers and an ablution hall were added at a later date to the northwest side of the courtyard.